Chase’s birthday is Wednesday, so he gets to celebrate the weekend before, the day of, and the weekend after! Even though he’s hardly a child, he’s a kid at heart and asked for a pizza party. I made a whole wheat and oat crust in the food pro and let it hang out in the fridge until we were ready to roll it. I made Julie’s famous Italian Sausages to use for pepperoni. I made a tomato sauce the day before and bought Chase’s favorite topping ingredients – spinach, sundried and fresh tomatoes, fresh green and roasted yellow peppers, and green onions. I had some leftover cheez sauce to use on top, and I whipped up a quick parmesan of raw almonds and nooch to sprinkle on individual slices. It was soooo delicious. A completely homemade pizza baked on a pizza stone is pie perfection! 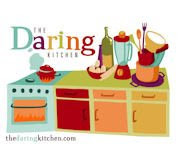 Austin’s own Kitchen Diva had a recipe on her website for a spinach salad with Artichoke Croutons. Wha??? Marinated artichoke hearts are breaded in seasoned panko, baked until crispy, and then used as croutons – genius! And completely delicious. I made a mixed green salad and added in leftover pizza toppings and toasted walnuts. A store bought Italian dressing was just fine, quite nice actually with the artichokes. Anna, another Austinite and fellow blogger – oh yeah, and a Pillsbury Bakeoff Grand Prize Millionaire! - posted a recipe for Carrot Breakfast Cookies awhile back. I’ve been promising to make them ever since and I’m proud to say I finally made her low fat version. They are for Chase to have for snacks, but I did have a test taste of one and they are so delicious! Not too sweet, just like Chase likes, and a perfect snack or breakfast. I used one flax egg (1 T. ground flaxseeds + 3 T. water) and whipped it in the mixer in place of the egg whites, and I used ¼ t. orange oil instead of zest; otherwise, I followed Anna’s recipe exactly. The orange flavor is the best part! Check out Anna’s blog for DAILY cookie recipes at cookiemadness.net. And now for Chase’s pre-birthday cake. Okay it’s actually a rice cake. I spread on some peanut butter, added blueberry eyes, an almond nose, apple mouth, and toasted coconut hair. It fit in well with the kid’s pizza party theme. Meet Mr. Happy Treat. It looks just like Chase! On Wednesday we’ll have a real birthday cake. How green is the food in your refrigerator? Here’s a shocker: if all you eat is veggies and fruits, your diet isn’t as planet-friendly as it could be. According to researchers at Cornell University, it’s important to examine your “food print,” the impact the food you eat has on the environment. Surprisingly, they found that a low-fat, mostly vegetarian diet, which includes a small amount of meat and dairy, requires the least amount of land to produce that food. All-vegetarian diets require more high quality soil, so they’re less kind to the Earth. And the planet suffers the most from regular meat eaters: their diet uses up four times as much land as that of vegetarians. As this information was new to me, I looked for the Cornell study online to do my research, and although I couldn’t find the complete study, I did find this article. ScienceDaily (Oct. 10, 2007) — A low-fat vegetarian diet is very efficient in terms of how much land is needed to support it. But adding some dairy products and a limited amount of meat may actually increase this efficiency, Cornell researchers suggest. This deduction stems from the findings of their new study, which concludes that if everyone in New York state followed a low-fat vegetarian diet, the state could directly support almost 50 percent more people, or about 32 percent of its population, agriculturally. With today's high-meat, high-dairy diet, the state is able to support directly only 22 percent of its population, say the researchers. The study, published in the journal Renewable Agriculture and Food Systems, is the first to examine the land requirements of complete diets. The researchers compared 42 diets with the same number of calories and a core of grains, fruits, vegetables and dairy products (using only foods that can be produced in New York state), but with varying amounts of meat (from none to 13.4 ounces daily) and fat (from 20 to 45 percent of calories) to determine each diet's "agricultural land footprint." They found a fivefold difference between the two extremes. "A person following a low-fat vegetarian diet, for example, will need less than half (0.44) an acre per person per year to produce their food," said Christian Peters, M.S. '02, Ph.D. '07, a Cornell postdoctoral associate in crop and soil sciences and lead author of the research. "A high-fat diet with a lot of meat, on the other hand, needs 2.11 acres." "Surprisingly, however, a vegetarian diet is not necessarily the most efficient in terms of land use," said Peters. The reason is that fruits, vegetables and grains must be grown on high-quality cropland, he explained. Meat and dairy products from ruminant animals are supported by lower quality, but more widely available, land that can support pasture and hay. A large pool of such land is available in New York state because for sustainable use, most farmland requires a crop rotation with such perennial crops as pasture and hay. "The key to conserving land and other resources with our diets is to limit the amount of meat we eat and for farmers to rely more on grazing and forages to feed their livestock," said Jennifer Wilkins, senior extension associate in nutritional sciences who specializes in the connection between local food systems and health and co-authored the study with Gary Fick, Cornell professor of crop and soil sciences. "Consumers need to be aware that foods differ not only in their nutrient content but in the amount of resources required to produce, process, package and transport them." According to the U.S. Department of Agriculture, the average American ate approximately 5.8 ounces of meat and eggs a day in 2005. "In order to reach the efficiency in land use of moderate-fat, vegetarian diets, our study suggests that New Yorkers would need to limit their annual meat and egg intake to about 2 cooked ounces a day," Peters said. The research was supported in part by the National Research Initiative of the USDA Cooperative State Research, Education and Extension Service. Adapted from materials provided by Cornell University. My gripe is not the findings in this study. There are plenty of other studies that conclude that eat’n veg’n is best for our planet. My gripe is what is printed in Health magazine. Although the study information is not exactly clear cut, I certainly don’t reach the same conclusion Health magazine does. First of all, the very first sentence in the study article is most compelling and it’s repeated throughout – “A low-fat vegetarian diet is very efficient in terms of how much land is needed to support it.” Contradictory language includes “may” and “not necessarily” and “some higher fat vegetarian diets.” Secondly, the study seems to refer to New York only, not the entire planet! And did you notice the study used only “complete” diets? I guess that’s why a vegan diet wasn’t included!? I admit that I know nothing about agriculture and/or farming. And I realize that people have their agendas and will manipulate data and misinterpret findings to get the desired results from a study. But after reading the Science Daily article, I think Health magazine got it wrong. Lastly, it seems to me that asking vegetarians to eat meat is counterproductive to the fact that most people consume too many animal products. I finally made a Sunday dinner, but ended up packing it up for Chase to take home since he wasn’t able to come eat with me. But he has reported back to me that everything was awesome. Two recipes are from Vcon. First, Apricot Barbecue Baked Tofu. I made the Apricot Barbecue Sauce and as advised, used it as a delicious and perfectly sticky covering for the tofu. Please make this sauce and put it on anything you want to bake or grill. I would imagine those of you who enjoyed Susan V’s Ribz would love them with this sauce too. My apricots for the sauce weren’t fresh. They were actually pineapple flavored and came out of a can. No matter. Look at the sticky goodness. I didn't eat the tofu, but I had many tester tastes of the sauce - maximum yum! Next I made the tofu-less quiche from Vcon. Instead of using asparagus though, I used onions for the filling and added a layer of sliced roasted piquillo peppers. (Piquillos are mild, delicious red peppers.) I seasoned the filling with cilantro and cumin and used the Wholly Wholesome pie crust Dreena recommends. I would have made my own crust, but store bought comes in its own to-go container! I also added a little nooch to the breadcrumb topping. Here’s the whole Piquillo Pie ready to bake. The filling is absolutely delicious and I’m thrilled to now have a soyfree option for quiche. I do recommend letting it set up in the fridge before cutting and serving. It’s great cold too. I wanted to do something in recognition of St. Patrick’s Day. Irish food usually includes potatoes and potatoes are not in my current detox plan. So I made a deconstructed Colcannon of sorts. I made parsley’d sweet potatoes. And I couldn’t decide between kale or cabbage, so I made both, with leeks and onions. These I ate and enjoyed very much. I didn’t bake anything for dessert because I still have a freezer full of brownies, bars, and half a cake. But I did find these pretty candies for Chase’s Easter treat. No word yet on how they taste. Thank you all for your words of comfort regarding the passing of my dad. We miss him so much. My father died March 4, peacefully in his sleep and surrounded by his loved ones. We had a beautiful memorial service for him one week ago, with 150 family and friends in attendance. It still seems so strange that on January 4 he seemed fine, and now 2 months later he’s gone. As you can imagine, the past month has been extremely stressful. I’m such a regimented person and nothing lately has been routine. I went back to work this week but I’m completely exhausted. I look awful, I feel awful, and I haven’t seen my trainer in 4 weeks. Today I caught up on neglected chores around the house, paid bills, bought groceries, and tried to rest as much as possible. I’m in detox mode now. My diet is strictly fruits, veggies, beans, and nuts as I’ve got to get my stomach issues back under control. I’m going to go for a long walk before sunset and try to get 7 hours of sleep tonight. Chase is coming for Sunday dinner tomorrow and I will be trying out some new recipes on him. I’m ready to get back to a normal life as quickly as I can, which definitely includes cooking and blogging! Thanks to all of you who prayed and sent good thoughts for my family. I will catch up on all of your posts as fast as I can.